High quality leadwork, we believe, is one of the key elements to providing a long lasting damp free structure. It suits the bespoke nature of our work. It is very attractive and durable and can be formed into the most complex of shapes to provide long lasting weather proof flashings at all those tricky abutments and junctions on a roof. Cladding to dormers and the like, where access for maintenance is difficult or just because it looks great and requires no maintenance. 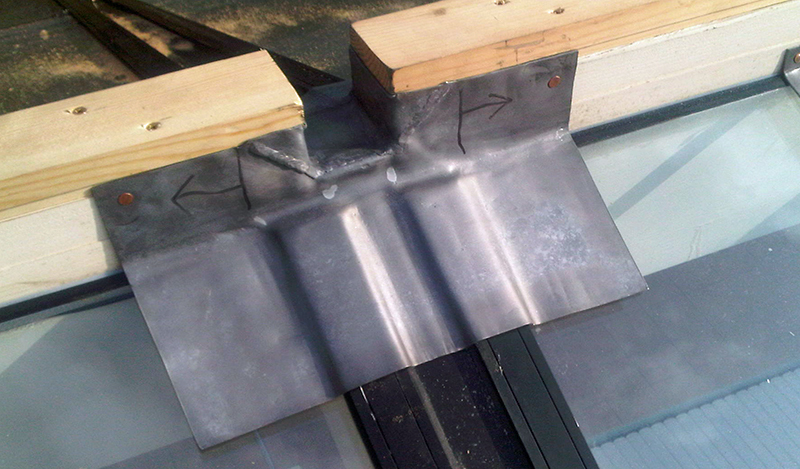 In new or re-built chimneys we use lead to provide a continuous dpc at roof level. 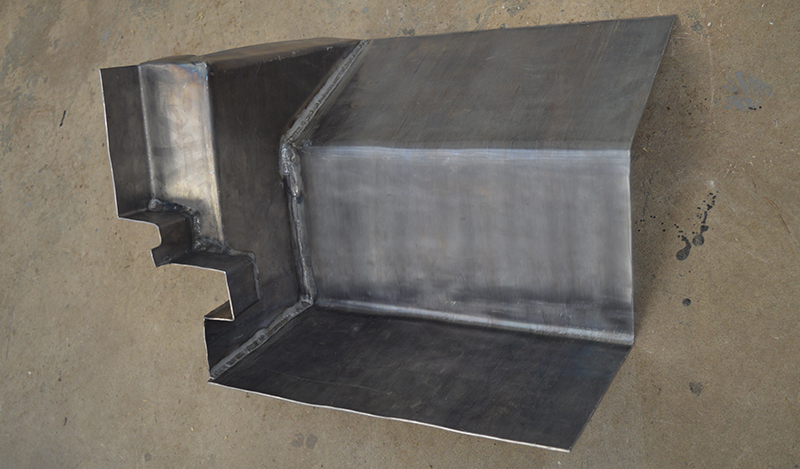 In existing problem chimneys, we can form a leadwork cap at coping level to seal the head of the stack and prevent water getting into the wall head where it causes all sorts of staining and dampness problems on interior walls. 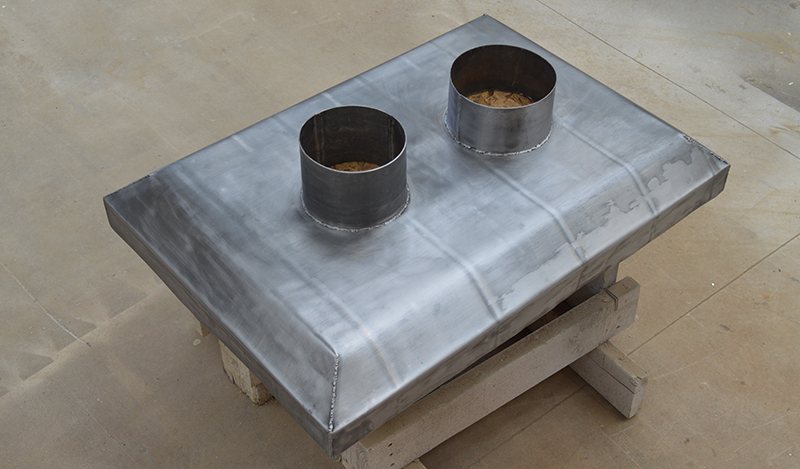 Flues which are redundant can be sealed over with the lead cap and penetrations with welded upstands are formed to deal with live flues which are usually re-lined with stainless steel liners. This may be clearer in some of the photos above. To seal verges by forming a soaker in each slate course. This prevents rain travelling back under the slates on exposed edges which inevitably leads to rotten fascias and soffits. Lead is of course malleable, meaning it can be beaten or pressed into the required shape. This process, called bossing, inevitably results in some stretching and thinning of the material. The size and complexity of shapes which can be formed through bossing alone is therefore fairly limited, often resulting in components which don't provide the desired level of cover to properly keep out the elements. 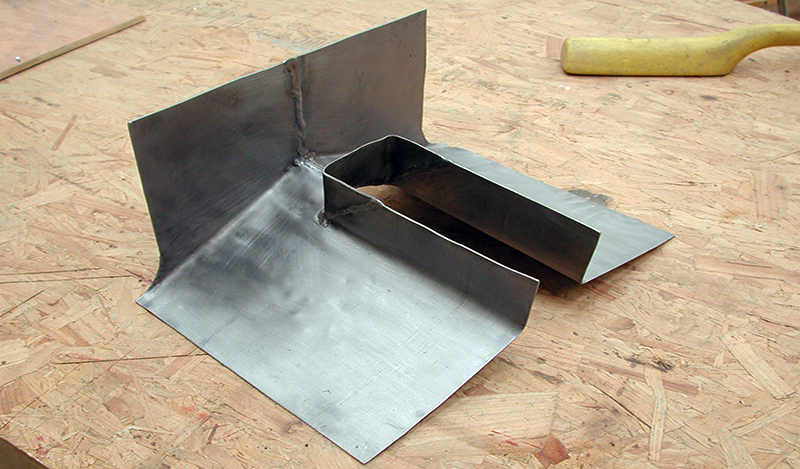 We therefore form these larger more awkward shapes by cutting, folding and welding together one or more pieces of sheet lead. This is achieved using 3d computer models which allow us to print out full size 'development' drawings to use as templates.